I am cutting back on my caffeine, but who can resist the adorable stamp set Perfect Blend! 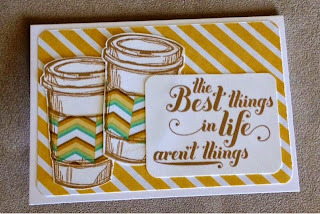 My coffee dates with friends are always a highlight of my day or week, and I love to sip a warm cuppa while reading, or crafting, or doing laundry... Or just about anytime!!! Thus, my need to cut back! 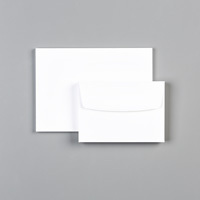 The Designer Series Paper Lullaby is soft and sweet, but has a boyish charm as well. 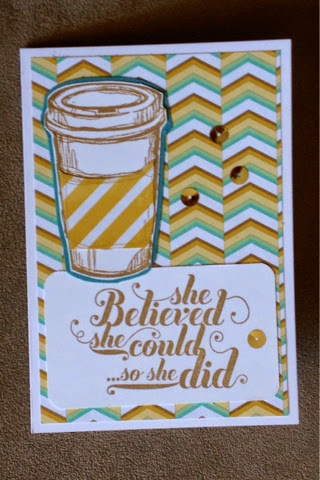 I used it as the background for these note cards, and also paper pieced the cup-cozies. 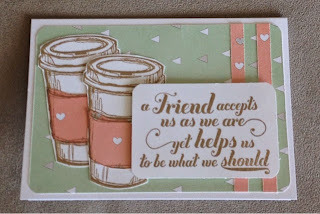 I used Baked Brown Sugar to stamp the cups from Perfect Blend, and sentiments from Feel Goods. 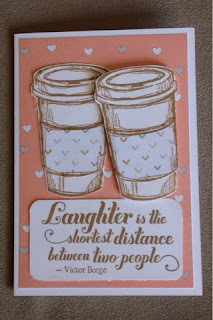 The two sets together just make me think of my friends & our coffee dates. Good conversations, laughter and sometimes tears, but always love. 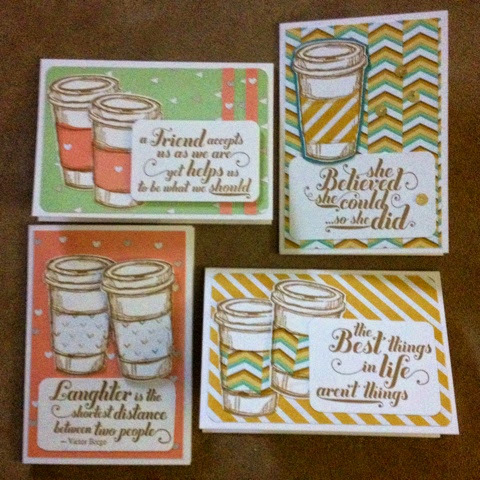 8 note cards, 2 of each design makes a nice little set! The products used are listed below, and if you click on any image it will take you directly to that item in my online store. While you're there, log in and create an account! 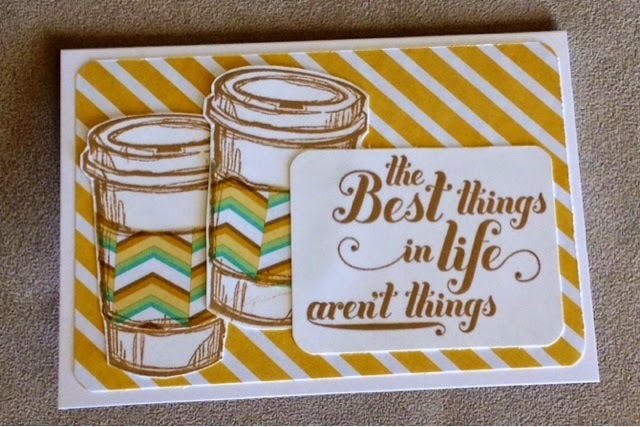 (No purchase required) I'd love to add you to my mailing list and send you the new Holiday Catalog! Happy Monday! 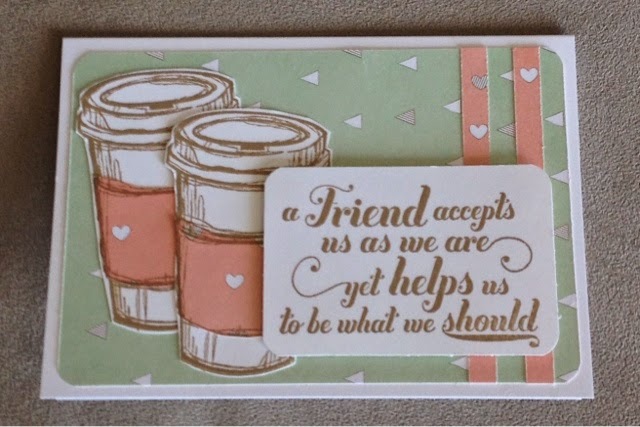 May the cup always be half-full, and the friends available for a cuppa!